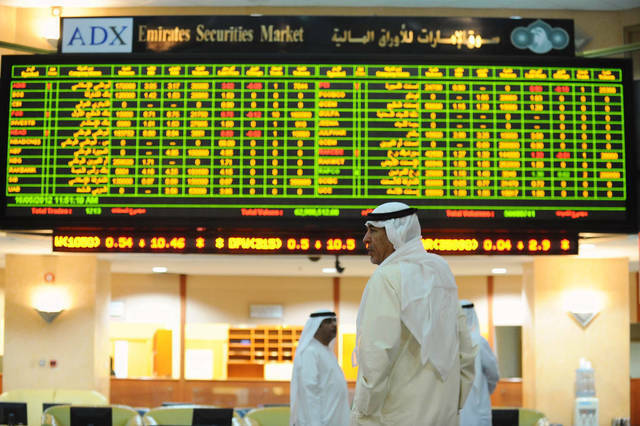 Abu Dhabi – Mubasher: Energy stocks of the Abu Dhabi Securities Exchange (ADX) began Sunday’s trading session, the first session after Eid Al adha holiday, in red territory. Abu Dhabi National Energy’s stock topped the bourse’s decliners falling 9.84% to AED 1.1, while Dana Gas went down 1.77% to AED 1.11. The energy sector levelled down 2.66% to 1,828 points in morning trades. Within the first 70 minutes of trades, the ADX’s general index retreated 0.1% to 4,889.6 points.